Lillgrund offshore wind power plant is connected to E.ON’s 130 kV station Bunkeflo, near Malmö. The 130 kV system is illustrated below in figure 1. The 130 kV system consists of a 130 kV bay at the onshore substation Bunkeflo, 2 km land cable and 7 km sea cable. At the offshore substation the sea cable is connected directly to the main transformer, i.e. there is no 130 kV circuit breaker or any other switchgear on the offshore substation. The 130 kV cable system generates approximately 10 MVAr reactive power. 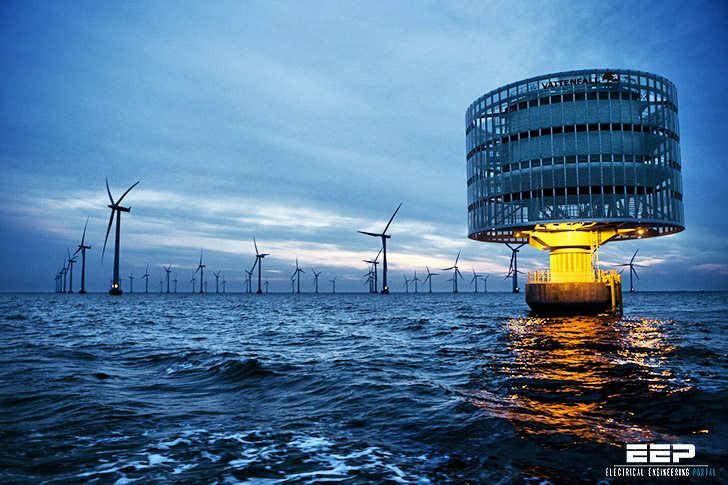 One requirement from E.ON is that the wind power plant keeps unity power factor at the point of common connection at Bunkeflo, e.g. the reactive power exchange shall be equal to zero. Lillgrund does not have any reactor to absorb the reactive power. 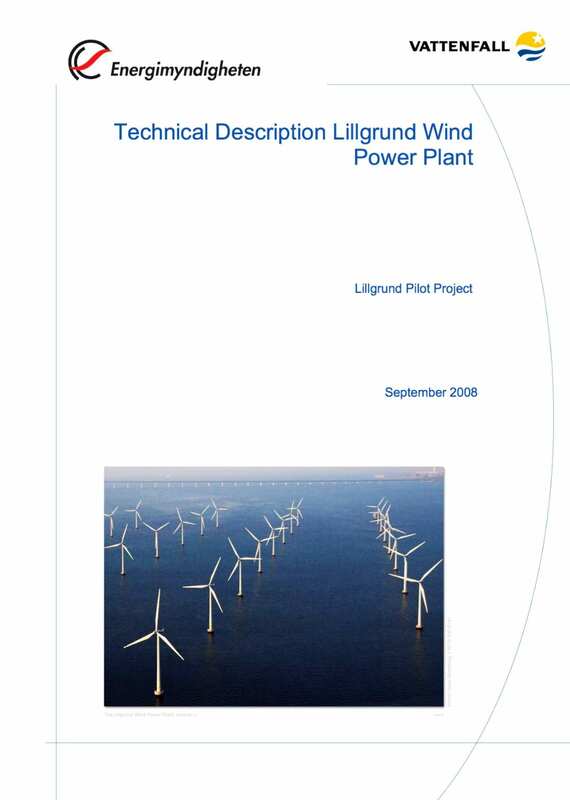 Instead, the reactive power at Lillgrund is controlled through the frequency converters in the wind turbines. The main circuit breaker for Lillgrund is located at the onshore substation in Bunkeflo. Figure 2 shows the new 130 kV bay for Lillgrund at Bunkeflo. 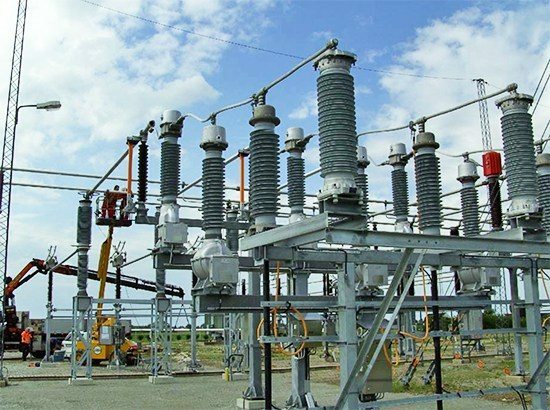 Closest to the camera is the surge arresters followed by cable termination, voltage transformer, current transformer, grounding switch and finally the circuit breaker. During the construction period, a complete systems study (i.e. load-flow calculations, dynamic simulations and transient studies) were performed by Siemens AG in Erlangen, Germany. The switching transient study revealed some large transients occurring at the 130 kV busbar in Bunkeflo when the main circuit breaker for Lillgrund was switched on, see figure 3. Figure 3 – Simulation of direct switch of the 130 kV circuit breaker. 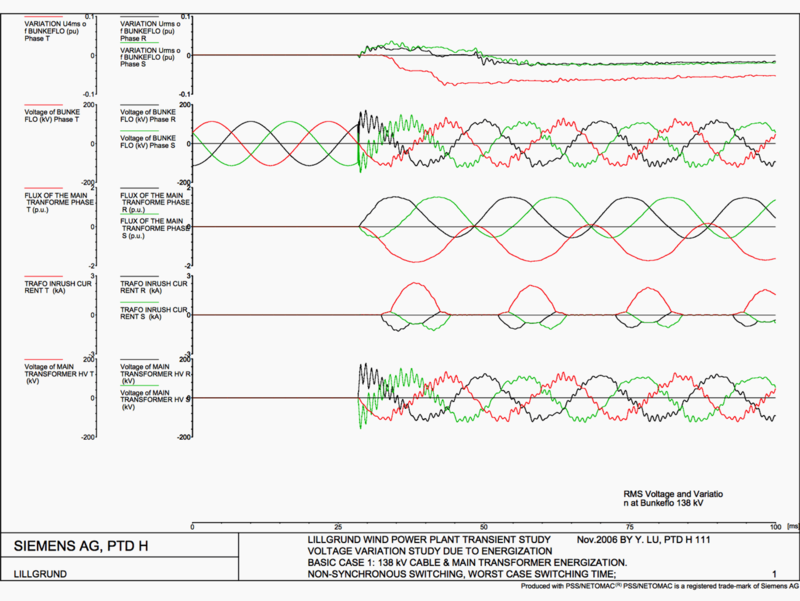 The second graph from the top shows the voltage at the busbars at Bunkeflo. The switching transient causes an oscillation, which is composed of a high frequency voltage (approximately 650 Hz) overlapping the fundamental voltage (50 Hz). The oscillation emanates from the capacitance in the 130 kV cable and the inductance in the main transformer. Do the frequency converters at the Wind Turbines require any significant changes, modifications or additions beyond “typical” Frequency Converter performance per the existing equipment/product Standard? Are there any additional specification needed and will those Standards cover or protect against any possible anomolies above and beyond just those inherent switching transients?